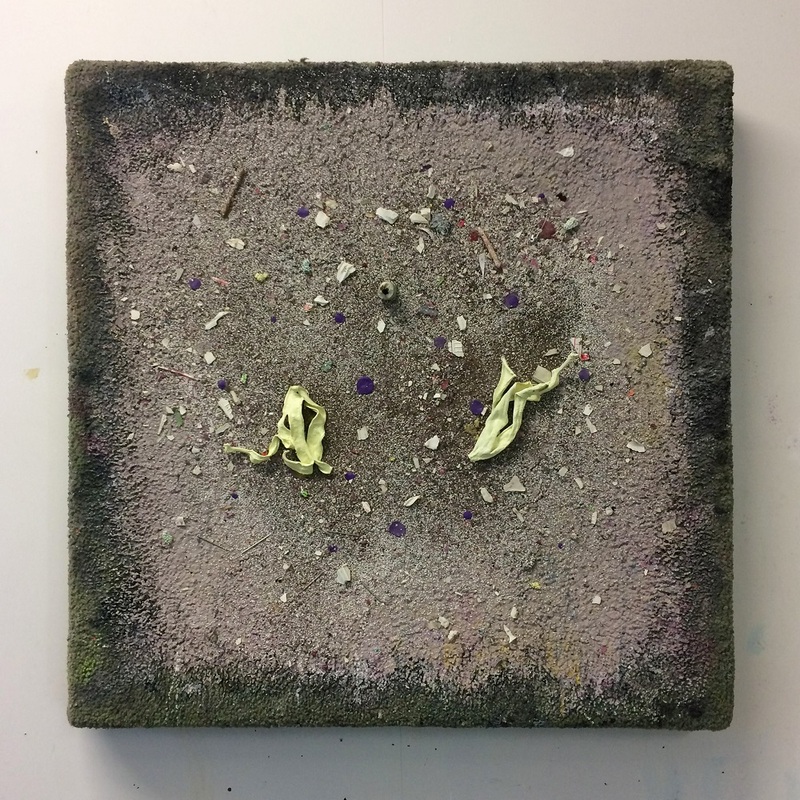 Image: ‘Don’t look at the carpet, I drew something awful on it’ (part), acrylic, enamel, plaster, nails, polystyrene, coffee grounds, banana skins, nicotine gum and pigment on carpet support, 750 x 750mm, 2018. Taste Nature is a new body of work by Sam Clague on display now at SoFA Gallery. Clague’s current practice is a method in coming to terms with the end of capitalism. He approaches this ultimate metamorphosis through the core notion of failure. Mutated, blanched, stripped, buried, amalgamated materials are aerated and turned like organic fertiliser to generate new forms representing a failed system. Sam Clague is an artist currently practicing in Dunedin. Clague graduated with a BFA (First Class Honours) from Ilam SoFA in 2015, and has exhibited work at the UNSW Gallery (Sydney) and the Adam Art Gallery (Wellington). SoFA Gallery, Ilam Campus Gallery, Block 2, 6 June – 5 July 2018.